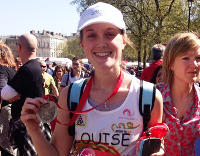 Alison was inspired to run the London Marathon for her sister Natalie. Read about Natalie's experience with endometriosis and why Alison chose to run for Endometriosis UK. After suffering with endometriosis for eight years, Carol decided she wanted to do something to raise awareness – so she ran the Brighton Marathon for Endometriosis UK. Deborah Just six months after having a hysterectomy, Deborah climbed Mount Snowdon to raise money for Endometriosis UK, smashing her fundraising target in the process. Kim ran the British 10K for Endometriosis UK a few months after having a laparoscopy. 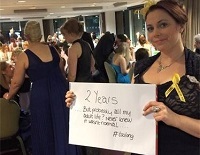 Read about her experience of endometriosis and fundraising for Endometriosis UK. Louise has severe endometriosis and Chronic Fatigue Syndrome. Learn about her inspirational achievement and how she ran the London Marathon for Endometriosis UK.